I recently posted about a etsy purchase that I made. This wonderful growth chart fashioned after a old black and white wooden ruler. that I contacted the creator of these and asked if she'd be willing to do a give away. Lucky you, she enthusiastically said yes! 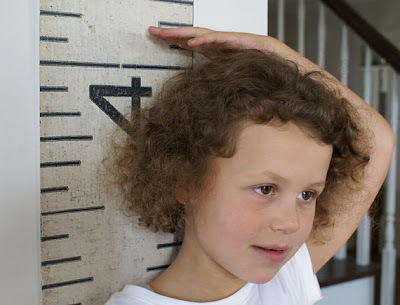 Visit Kims sister here on etsy to see all her growth charts. Leave me a comment on this post to be entered for a chance to win. For another chance, blog about this give away, or facebook it, or tweet it. p.s. I will be listing new items in my etsy shop all day today, click on the etsy link at the top of this page to take you to my shop! I have been stalking that for a long time. I want one! We have a little one so this would be perfect! I just saw this recently and thought it was a great idea to be able to bring it with you if you move. I soooo want one. I love these! Love it! Have been wanting one since you first posted about yours! LOVE, love, love these. Would love to use this to track my kids growth!!! Too cute, I would just adore one of these! i would LOVE to have one of these for my grandchildren!!! What a neat piece! Love it! I need one of these for my son's room. I have been admiring yours since you posted about it! I saw these about a month ago, I would absolutely love to have one, thanks for the opportunity! That is so cute! And would come in handy since we are expecting baby #4! :) Thanks!! Oh, we could really use this. Our kitchen wall is full of marks, but if we ever have to paint, what will become of our marks? I just mark my grandson's growth on the wall right now so this would be perfect! It's been an Etsy favorite of mine since you mentioned it a few weeks back. Thanks for doing this giveaway! What a great item for my siblings who have young children. I want of these so bad I can't stand it! It's so clever and cute! With four kids and more to come..this would be perfect! Love your blog and your amazing sense of style. This is so cool....love it!! Love this growth chart and how it has a vintage look to it. I would love to win one! oooo! I have this in my cart on Etsy! I sure would LOVE to win one. SO cute! Blogged about it on my blog! After your last post of this I marked it on etsy as an item I loved. I fully intend to have this someday! So cute! I have a three year old and this would be perfect! Oooh - I soo need one of these for my two girls! love an opportunity to have one at my home! what a cool growth chart! I would love to win this! just moved and had to leave our wall growth chart behind...this would be perfect! I've been eyeing it since you posted the first time about it. LOVE IT!! So cool! Her prices are very reasonable too. Would make the perfect gift for my cousin who is having her 3rd baby in 2 months! After seeing your original post, I pinned it on my Pinterest board. I would love to win one! I love that growth chart! I've been looking for the perfect one! love this! would be wonderful for my grand daughter who just turned one the 11th! I actually brought this growth chart up to my hubby after your original post. I love it! I love this!!! I have four kids that would too! ;) I found you from Life in the Fun Lane! This is so cute! We just measure our kids on a doorjamb but this would be such a huge improvement! I love it so much, that if I don't win I will be buying one! i ordered one a couple of weeks ago and am excited to receive it. another would be a great gift to give. Ive been thinking of this ever since you posted it! Thanks for the chance to win it! Was just thinking about buying one for our new place....even better to win one!! I heart those growth charts!! Please enter me!! I had 2 grand babies this year, what a great way to keep track of them! I love this chart! Please throw my name in the hat! How adorable! I'd love it! that would look great in my hallway, especially since my two boys are growing soo fast. My kids and I would love that in our kitchen. I live next door to my sister, who has 4 kids, so they would all love to use it and it would make for such cute photos! I would love one of these! I need to check out the site. Adorable, I want one for my little guy's room!! I love this growth chart! Would love one of these for my three kids! I absolutely LOVE this!! We love to keep track of how our little ones are growing! This is so great, I would love it so much! What a great way to document the kids growth! I have been searching for one of these for awhile. So cute! Thanks for the giveaway! I love this growth chart! I'd love it for my little one! I loved this when you first showed it off!! 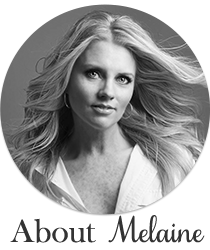 So perfect for a vintage look :) Thanks for the chance, Melaine! Oh that is so awesome! I would love to have one for my littles! wow!!!! i love it, so much better than what I have been using, and it goes to over 6', hooray, I am writing on the wall, thanks for the chance!!! that is on my list os projects to attempt to make-- so fun! I've been drooling over this!! I want one and to win it would be bonus!! omg - i have been stalking this growth chart on etsy ever since you posted it. i love it!!! How cool is that..I think every kid visiting our house would be tempted to check it out. What a great gift for a new mother too. What a beautiful way to measure how fast they grow! Thank you for including me in this generous give-away. What a great growth chart, and easy to keep if you move. Thanks for the chance. I've had my eye on these for a while now and would love to win one! Thanks for a great giveaway! I've had my eye on these for awhile and would love to win one! They are so cute! Thanks for a great giveaway! I have had this one on my favorite list on etsy for awhile. I LOVE this version! I always thought I would make my own, but after three children, and one already in high school...I think my days are numbered. I had better just purchase one and get all the markings off the side of my refrigerator cabinetry! I even kept all of the well check appt reports with height in hopes of recreating their growth progress one day when I had time before I resorted to marking up the walls! This would be so neat to have!!!!!!!!! Haha! I just bookmarked this item to purchase for my baby girl's nursery! I could find many, many places to put one of these! How cute! I loooove it!!! PLease count me in! Love, love love this!! I have the perfect spot for it. My 5 year old asks me everyday if he can measure how tall he is now! This would be a great gift for my 1 year old nephew. Love the chart, love the curly haired model! Would love it for my new boy! Oh how I love this chart. I just sold my home of 35 years and left behind one very marked up wall behind a door showing the progression of growth of my three now adult kids. This would be perfect for keeping track of the growth of my grandchildren when they come to visit.It would fit in perfectly with my vintage style. I would love to capture my 20 month old's growth on this chart! So cute. toss my name in. LOVE it! (hope I measure up!) We'd love to measure our grandkids with this. I've seen these and didn't know where they came from. Got a grand baby on the way so I can definitely put it to good use! Wow is beautiful giveaway !! !Perfect for my boy !!! Thanks you . I want want of these beauties!! What a fabulous giveaway!!! Please count me in. A perfect gift for a new mother! I'd love to win this for my niece who is expecting her first baby! Love the growth chart and hope I'll get lucky and win one!! I love these growth charts! I recently saw a tutorial for one on another blog and have it on my "hubby's to-do list." But perhaps I'll have the lucky number! Thanks for the opportunity!! Awesome growth chart! Thanks for another fantastic giveaway! This is like a dream come true!!!! My boys are growing so fast, and the textured walls on the inside frame of the closet are terrible for marking heights!!! but it also has such a useful purpose. Such a gorgeous growth chart! Love the vintage-y feel ... crossing my fingers! i would totally hang this chart in my house! love it!!! I know exactly where I will put this !! Adorable... I will have a new grandbaby in a few months... that would be lovely! reminds me of going to my grandparents as a child and my "grammy" always measured the grandkids when we would come for a visit! So cool. No twee ABC's or animals, love it. Nice growth chart! Would love to win it! best growth chart EVER!!!!! Love love love it! This is too cute! Thanks for the giveaway!! Oh wow! I love this. Please enter me. I also posted on my giveaway page for a second chance please. I love the look of these growth charts! wow...this is so stinking cute! Love it! Would love a chance, this is the PERFECT accessory for my sewing room, am I the only one who thinks this is a gorgeous tape measure ~ lol! I would love this to track my two little ones! woohoo! i would love this growth chart. then maybe i can paint over the "growth chart" for our 6 kiddos on the inside of the kitchen door frame. nice. Great giveaway. Such a beautiful growth chart - it's like art! So sweet!!! Thanks for the chance to win!! Your blog is just the best!! I'm inspired so much!!! I would love to win this for my 2 daughters to use! What a wonderful growth chart. My 2 1/2 yr. old grandson has a pituitary problem and has to take shots of HumanGrowthHormone everyday to grow. What a wonderful way to chart his progress and take the sting out of the shots for him on his way to becoming a 'big boy'! Thanks for the giveaway. Sooo CUTE! I ♥ it! This would be an AWESOME gift! I *heart* this.. I'm simply in love.. We just moved to a new state, living in our new (very old 1925) home.. The first thought that came to mind was not only would it be great way to record our children but also for our visitors and family that will have traveled many miles to see us... It will help turn our house into our home... Love it! Love it!!! We have 5 kiddos and this would be a fantastic way to document everyone's growth! love, love, love. perfect growth chart for our hallway - designated spot just outside our little guy's room.